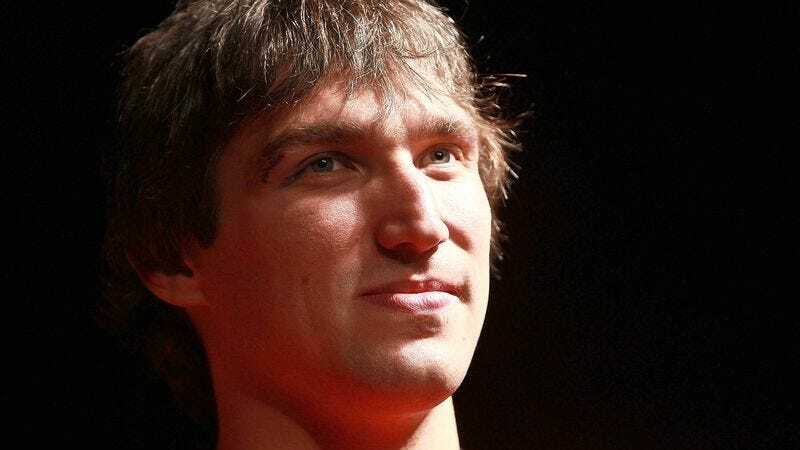 WASHINGTON—Lying on his sofa and flipping through channels Saturday night, Washington Capitals forward Alex Ovechkin settled on a televised hockey game for a few minutes, but reportedly had trouble keeping track of the puck. "It’s going all over the place and it's moving so fast—how is anyone supposed to follow the thing, let alone enjoy watching it?" asked Ovechkin, adding that he had never heard of any of the players on the ice and hadn’t even realized Nashville had a hockey team. "I guess I'd like it more if there were more goals. A lot of my friends say it's better to watch a game in person, but I've been to a few and they're just sort of okay, I guess." After becoming frustrated with the various colored lines and circles on the surface and the seemingly arbitrary "icing" penalty, Ovechkin gave up, watched 20 minutes of a college basketball game, and fell asleep.